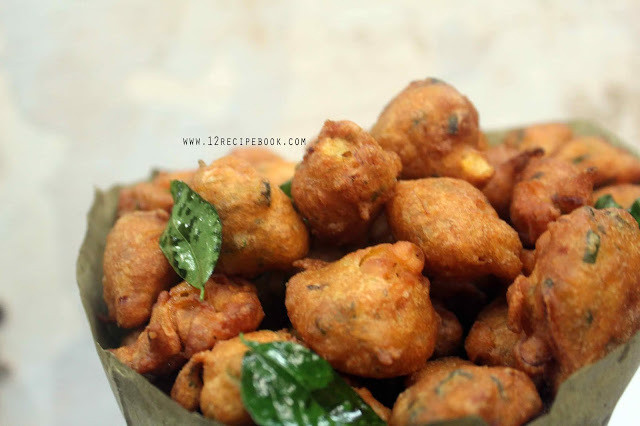 Onion pakoda balls are an easy and crunchy super snack. You can omit the egg used here; instead add more water. 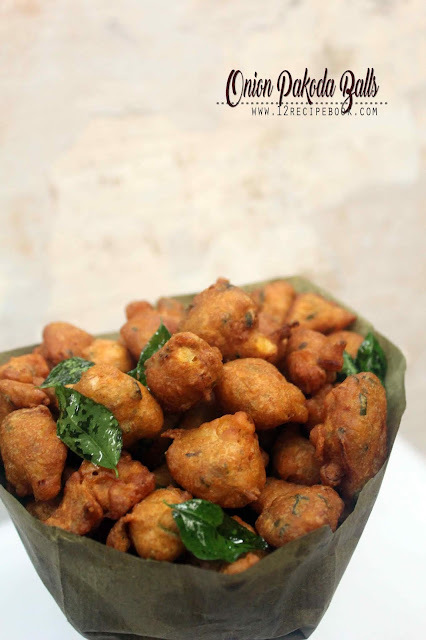 Try this super easy snack for your ifthar party and with a small amount of batter; You can feed a crowd. In a mix bowl; add thinly mince onion, ginger, green chilly, coriander leaves and curry leaves. Add besan flour, rice flour, all purpose four, turmeric powder, chilly powder, salt and hing. Crack an egg in to it and mix well. Add water little by little and make a thick paste like batter. Heat a pan with oil; when it is hot; make the flame to medium. Drop small spoons of batter in to hot oil on by one quickly without over crowding. Fry until nice golden brown in color. Drain in to paper towels to absorb excess oil. Serve hot and enjoy the crispy bites!